By the way, we got a new cat today. Post coming. 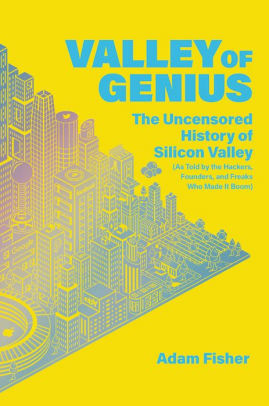 Valley of Genius, the Uncensored History of Silicon Valley by Adam Fisher – non-fiction. I’m always interested in books about the early days of the computer industry and of silicon valley, so this was a natural selection for me. The format is unusual: the book consists entirely of quotes from the various persons involved, arranged to tell the story as it develops. This took a good deal of getting used to, as there was no read-it-through narrative, as such. But what is said is interesting and I found myself reading right through it. Some parts were a little repetitive, which is to be expected in this format. For those interested in the hardware and software developments of this place and time. 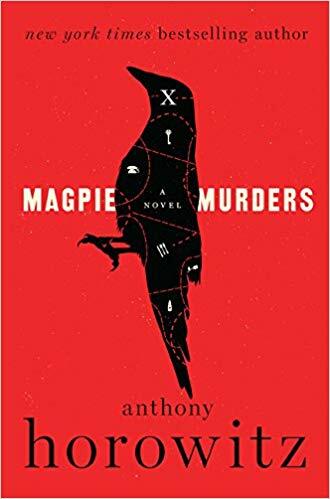 The Magpie Murders by Anthony Horowitz – mystery (1977). I guess I’d call this a semi-golden age-like mystery, with many of the elements we’d see in a classic novel of detection. However the characters differ from what me might find in Sayers or Christie. That’s fine with me. Firstly, we have a novel inside a novel. At the beginning is an editor for a publishing house telling us the book she has just settled down to read in manuscript changed her life. Before we can go further with that plot line, we are presented with the book itself. It’s has Poirot-like character attempting to solve a murder, and it’s quite well done. I liked it. But before that book concludes, we are pulled out of it when the editor tell us the last chapters are missing. The rest of the novel then follows the editor and she tries to find the missing chapters, presenting another mystery to be solved. An intriguing format, and yes, we do get the final chapters, finally. Worth reading. A new cat. How exciting. I can’t wait. My reading: After I finished reading the 3rd Charlie Chan book, Behind that Curtain, I moved on to The Case of the Weird Sisters, by Charlotte Armstrong. After that, I read The Book of the Dead by Elizabeth Daly. Since all the books I have read lately are vintage mysteries, and fairly short, I have been moving through them quickly. Now I am reading a book by Agatha Christie, The Mirror Crack’d. We watched The Asphalt Jungle with Sterling Hayden since I read that book last month. Really liked the film. It IS exciting. The flip side is the rescue center, Cat Adoption Team in nearby Tualitin, strongly suggests keeping the new cat in a quiet “safe room” for a week, even though in our house he is an only cat and there are no kids or other pets. Yesterday he his but this morning he’s alert and interested in exploring, but we’ll keep him in the spare room at least through today. I read The Mirror Crack’d many years ago, remember nothing of it. A Marple, yes? yes, The Mirror Crack’d is Miss Marple. I am skipping past the three books before it in the series because we want to watch the film with Angela Lansbury afterwards. Forgot to say, I am glad you found Magpie Murders worth reading, because I have that book and it is lengthy. I really want to enjoy it. I am encouraged. Yes, we got him at Cat Adoption Team midday yesterday. He’s 4 years old, a big handsome guy. Richard, “THE MAGPIE MURDERS” by Anthony Horowitz is on my wish-list and I ought to move it up my unplanned reading list. I’m currently reading A GUN FOR SALE which marks my return to Graham Greene after a very long time. I did not know he had written a crime story. Greene is an excellent writer! I consider Brighton Rock a crime story. I really enjoyed The Magpie Murders. Just finished Lethal White by Robert Galbraith(J K Rowlings) and liked it a lot but it is quite long at 650 pages. Reading some shorter stuff for awhile. Such as John Varley’s Irontown Blues and Wayne Kramer’s The Hard Stuff. Kramer was a guitarist for the best live band to ever come out of Detroit, The MC5. They were never really captured well on record. I’m betting you like IRONTOWN BLUES, Steve. At 650, the Rowlings book is too long, any book that length is. I tried the first Galbraith book and gave up after 200 or so pages. The characters were fairly interesting but it was slow, going nowhere fast, and had hundreds more pages to go. Life’s too short, you know? I returned the Horowitz book the time I had it from the library because it was so damn long and I had so much else to read, but I still intend to try it….some day. I know what I said about long books, but there are books and then there are books. I raced through the 425 pages of Mary Robinette Kowal’s first Lady Astronaut book, THE CALCULATING STARS, and liked it a lot. I then went back and reread her “The Lady Astronaut of Mars” – the book is a prequel to the novelette – on the tor.com website. I’m waiting for book two at the library. I think you’d like it. I also read THE GUILTY DEAD by P. J. Tracy, next in the Monkeewrench/Magozzi and Rolseth series, and the first Tracy has written alone since her mother’s death. I like the series a lot, but this was not the best of them, though Grace’s impending due date adds some excitement. Catherine Aird – LAST WRITES. I hadn’t realized she had another collection out since the last one I read, and the library had a copy. She’s been writing for over 50 years (this was published in 2014) and is as smooth and readable as ever. Sloan and Crosby are in some of the stories, though not the ones I’ve read so far. Abbey Mei Otis, ALIEN VIRUS LOVE DISASTER is strange and hard to describe. I’ll say more when I’ve finished it. I’ve started a couple of mysteries since I finished the Kowal: THE CHALK MAN by C. J. Tudor, which I’ve heard mixed things about but which I am enjoying so far, It alternates between a group of friends (aged around 12) in 1986 and the same group 30 years later, There is a murder and I assume the present will deal with that. The other is one I can tell I’m really going to like: THE NEGOTIATOR by Brendan DuBois, a favorite writer of mine. The Negotiator brokers deals between buyers and sellers in the underworld – diamonds, yes, but no drugs and no people – taking five percent as his cut. He has an uncanny ability to assess something’s worth, and the ability and toughness to get a deal done. But since this is that kind of mystery, we know something is going to go wrong. Congratulations on the new cat. The Magpie Murders reads rather quickly, didn’t seem that long to me. Some long books read fast and some short books read slow(Virginia Woolf novels take forever to read). A new cat…great. With you and Barbara, that makes three hep cats in Portland. Life is still interfering with both blogging and reading. The only book I read was THE FORBIDDEN DOOR, the fourth Jane Hawk novel by Dean Koontz. I liked it. I enjoyed it. But Koontz remains one of those authors I like in spite of myself. (The Jane Hawk series, BTW, borrows its basic premise from his 1976 novel NIGH CHILLS.) Also, I was able read three of the twelve stories in Wilbur Schramm’s WINDWAGON SMITH AND OTHER YARNS. Have a great week and enjoy your cat. By the way, if you haven’t named the beast yet, how about ‘Deathclaws”? About to begin THE WINTER OF OUR DISCONTENT (Steinbeck), which Charlie Stella said was his favorite book and I trust his judgment. Also reading FLORIDA HAPPEN, the Bouchercon anthology of this year. I have a story in there based on a family incident. Well, of course FLORIDA HAPPENS is on my list. That’s one of the few Steinbeck novels I haven’t read. I getting caught up on Library Books and Review Books while Diane is in Ohio taking care of her sister who is recovering from total knee replacement surgery. We have some traveling in the month ahead so I’m trying to work on future blog postings so you’ll have something to read while we’re gone. Tomorrow night, Diane and I will be going to a STEELY DAN concert. There aren’t many groups or performers I would pay $250 a ticket to see…but STEELY DAN is one of them. George, we’re seeing them next week! They are doing their usual 6-8 concert stay at the Beacon and we’re going a week from Thursday, I think. By coincidence, we last saw them with the Doobie Brothers and the Eagles at Citi Field last July (that is, JUly 2017), and we are seeing the Eagles (at the Garden) tomorrow night. You probably have better seats than we do for Steely Dan, as we only (only?) paid $156 a seat. That’s a lot, but Steele’s Dan is such a great group. I was listening to AJA last week. Saw Steely Dan once was not overtly impressed. They didn’t even do my 2 favorites-Dirty Work and Showbiz Kids. Kind of dull on stage. Wouldn’t walk across the street to see The Doobie Brothers for free. I lump them min with Reo, Styx, Kansas and others of that ilk. No concerts for me this month but Elvis Costello in early November. I would have agreed on Doobies but they were surprisingly good. I’ve seen Steely Dan do those songs, Showbiz Kids several times. Aja is my favorite album/CD. Mine too. The other albums I was listening too were by ELO. Both are real favorites. There are some Doobie songs I like a lot, but I doubt I’d go to a concert. In the 80s, I probably would have.